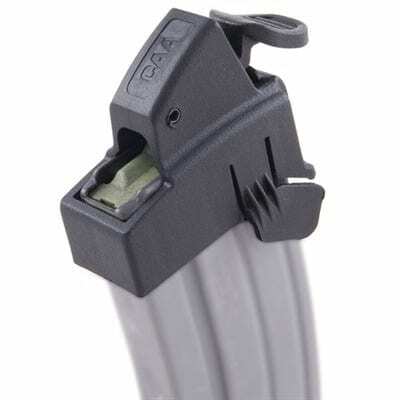 Loading magazines quickly is almost every shooter's need - or at least desire. That’s especially true for shooters who like to or have to burn a lot of rounds down the range. To help people out with this task, designers came up with magazine speed loaders. Mag loaders are quick, precise and effortless. They come in a variety of designs and a ton of them are available on the market. Here we'll be discussing a mag loader's capability, different types available and which one will be the best for you. We will also review the best magazine speed loaders on the market to help you make your buying decision. ​There are many different methods of operation, and since the whole point is to keep you from putting in unnecessary effort, make sure you have a full understanding of how it works! After all, if you don’t enjoy using it, what’s the point? ​Relatedly, the design of a mag loader is really going to decide whether you’re saving time. To an extent, that comes down to how fast you are with it. It’s important to read reviews such as ours to get a sense of just how much it actually increases your speed. ​Some mag loaders feed only a single round at a time. Others allow you to dump them all in and crank a handle, without even pre-staging them. Most mag loaders will fall somewhere in between. ​Of course, your budget is always a concern. But when it comes to a mag loader, you’ll probably want to make sure you’re really getting your money’s worth. While they make life a lot easier, you may prefer to put your extra funds into something like a scope. ​Mag loaders can actually be fairly bulky and cumbersome if they’re not designed well. Depending on your setup, this could be an issue! Many of us tend to gloss over things like weight when it’s, say, an iron sight, but for larger components, be sure to pay attention! Now we know what a mag loader does and what are the different types available on the market. You probably have decided by now as to which model you are going to use. To help you further, we have reviewed the best magazine speed loader of each type on the market. 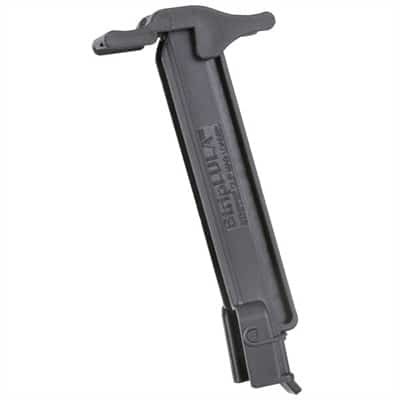 This model is a compact, effortless and easy-to-carry magazine loader from the renowned mag loader manufacturer Maglula. The mag loader can load and unload rounds quickly one-by-one with just a push of the lever. It’s great for people with finger arthritis, carpal tunnel or any other problems for that matter. The loader securely grasps the magazine lips and prevents its wear and tear. It works perfectly well with polymer as well as metal mags. The magloader is compatible only with 5.56 NATO and is a good choice for competitive shooting, tactical uses and target practice. The loader features quality construction and is quite resistant to wear and tear like on hunting trips. The Striplula is an amazing product from Maglula Ltd. This strip loader when combined with stripper clips can load you a 30 round magazine in less than 10 seconds. If you don't have those stripper clips, you can load the rounds individually on the stripper and just slide it down. This takes a bit longer than using clips, but it still falls below 45 seconds for a 30-round mag. The Striplula features a quality polymer construction and will save you time and fingers. It is compatible with .223 and .224 calibers. The loader is priced reasonably and there's not really any drawbacks you can find. It’s perfect for hunting, self defense, tactical and target practice. High Price (if you mind). The Magpump mag loader features a hopper-fed mechanism which can be used to load magazines at exceptional speeds. All you need is to dump the rounds at once into the hopper without the need for alignment or 'pre-staging' them. The user only needs to crank the handle and the rounds get loaded in the magazine attached below the hopper. The safety mechanism ensures that the rounds are not in the wrong direction while being fed in the magazine. This largely reduces your effort as well as the loading time. Load as fast as you can crank the handle and maintain the hopper supply. The hopper feeder can load .223 REM, 5.56 NATO and .300 Blackout rounds. It is available in polymer as well as aluminum variants and can be mounted to any platform. The only thing that might concern you is the price, but the features are worth paying for it. The Command Arms mag loader is a simple pushbutton loader which protects your thumb while loading in rounds. 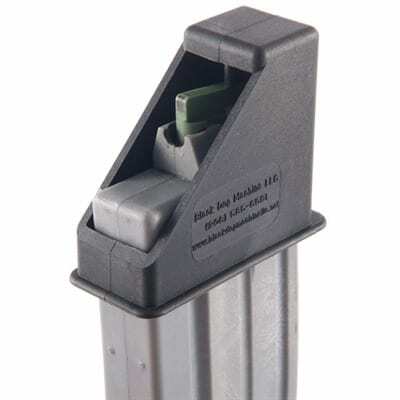 The ACC mag loader attaches securely to your magazine lips and all you have to do is just put in the rounds and pop the lever. The loader lines up the rounds itself so you don't have to meddle much with the mechanism. The loader is compatible with .22 calibers and is compact enough to carry in your pocket. While there are faster loaders out there in the market, you can’t expect anything more of a magloader at this price point. This is a newly designed, heavy-duty, .223/5.56 loader for 30-round magazines. It enables you to load a magazine with a single hand stroke. It is designed for daily, high volume use, such as firing ranges, armories, or similar professional use cases. Despite being lightweight and compact, this is a very portable industrial-grade loader. Its body and slide are constructed of glass-filled, injection molded N12 polymer with UV stabilization. The magazine catch tooth is made of 54HRC hardened steel. It has six rubber feet to keep it stable during loading. Other than the feet, this loader has only three parts and is easy to check for dirt or other problems before loading. The main benefits of this loader are speed, elimination of pain or injury, and preservation of your magazines' feeding lips. It fits practically all AR15/M4 compatible 5.56/.223 magazines without any modification. Loading does not require training or dexterity and is easy with gloves on. This is an acclaimed, reliable design. Not only does it have bomb-proof reliability, but it is also light, portable, and easy to use. Although it isn't the cheapest option out there, as they say, buy once, cry once. This unit will last a lifetime and greatly eases the loading of 30-round magazines. The broad compatibility with almost all AR mags is a great feature too. Manufacture Could Be of a Higher Quality. 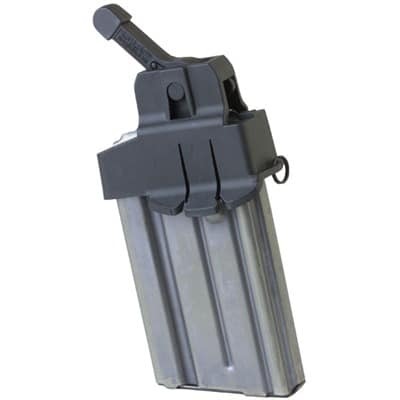 The Caldwell AR-15 Mag Charger makes it easy to load modern sporting rifle magazines from common fifty-round ammo manufacturer boxes or from fifty round aftermarket ammo storage trays. All you have to do is align the tips of the bullets with the loader and dump them in. You never even need to touch any of the rounds to load your mags. Once the rounds are in the loader, seat a standard AR mag as you would on your rifle. Then, simply pump the plunger, loading five rounds per pump until the mag is full. The whole process can take as little as fifteen seconds. An ammo transfer tray is included to prepare loose rounds for loading or to reverse trays of ammo in which the rounds are oriented backward. This loader is constructed of durable polycarbonate and is the recipient of the NRA's Golden Bullseye award. This is an innovative and handy loader to have around, especially if, like most of us, you deal with a lot of fifty round trays. 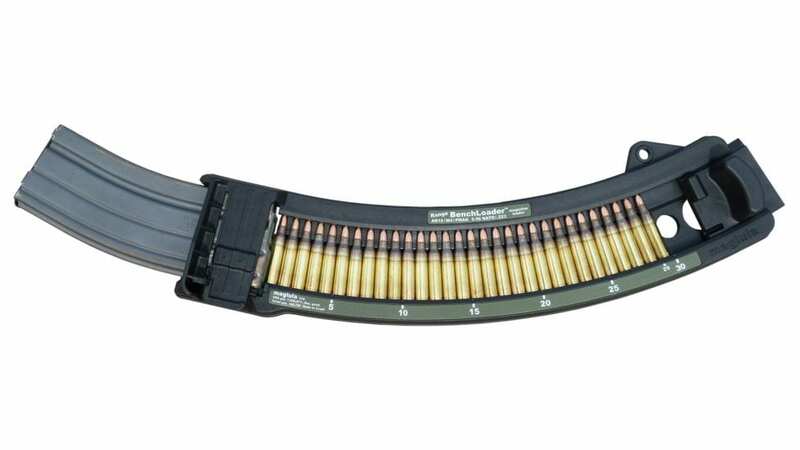 This loader has a unique design intended specifically for use with the most common trays and boxes in which ammo is sold and stored. The best features are the good design and wide compatibility with AR mags. 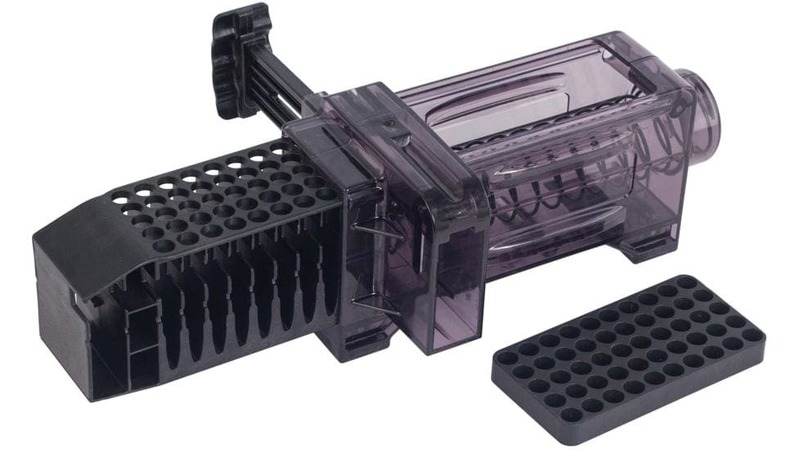 This Universal Magazine Loader from Butler Creek is a three-in-one magazine loader. You can either load rounds one by one, use the extendable arm to load 10 rounds at once or use military-style stripper clips with it. The loader is compatible only with 5.56 NATO/.223 REM cartridges which is fine if you are using it mainly for your AR-15. The loader is made in the USA, assuring you about the quality and proper customer support. This loader can be used at the shooting range to load rounds quickly. The low price point and multi-functionality makes it a good choice for regular shooters. 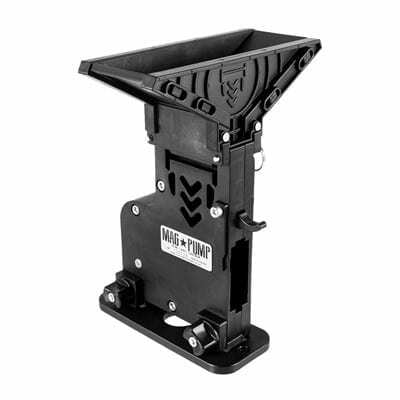 If you’re looking for a very affordable magazine loader, the Black Dog Machine AR-15 Magazine Loader has you covered. While it is a single-loader, meaning you will need to load each round individually, it nonetheless does the job very well. Single-loaders are still useful, as they prevent finger strain. All you have to do is simply slide the loader over the magazine, press down, insert the round, and release. Just continue doing this until the magazine is full. It’s also fairly durable, made from fiberglass-reinforced polymer, which helps protect against both impact and solvents. You’ll be able to use just about any reasonable cleaner on your mag loader and it should withstand use for years. We do need to stress that you need to use it as directed. As long as you don’t force rounds in or try to operate it more quickly than the mechanism can handle, you will be fine. This fiberglass-reinforced polymer also means it’s very lightweight. Of course, its simple design also has a lot to do with that, but we do appreciate that it doesn’t require a lot of hassle to use. We do think that if it were made from a heavier material, it wouldn’t be as reasonable a compromise. It’s a simple, lightweight, unobtrusive magazine loader that does its job and stays out of the way. It won’t satisfy those who are looking to eliminate the repetitive task of loading magazines, but it is perfect for anyone who wants a simple solution and affordable way to load magazines, so long as you’re not planning on rapid round-burning. ​An affordable solution to reducing finger strain, this simple magazine loader from Black Dog Machine, LLC does its job very well. Magazine speed loaders are an effective and intelligent way to load your magazines with less effort and within the least possible time. There are many types of mag loaders available in the market, so you must check out and decide what works best for you. If you like loading mags at the range, go for a compact model. If you like doing your work at home, or need to feed a lot of rounds, go for the striplula or hopper feeders. 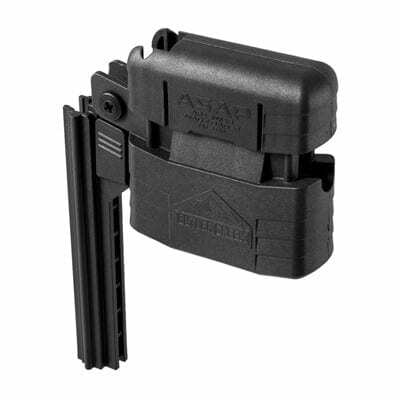 Eventually, a mag loader will be saving you time and will protect your fingers and magazines from any damage. Speed loaders are a complete game changer! I use to avoid them because I’m a penny pincher but boy are they worth every cent. Anyone else reading this that’s on the fence… it’s a must have!